Average life of a styrofoam spa cover is 2 yrs. Which is great replacement business for the dealer! How often does your Styrofoam spa cover end up in your dealers garbage? 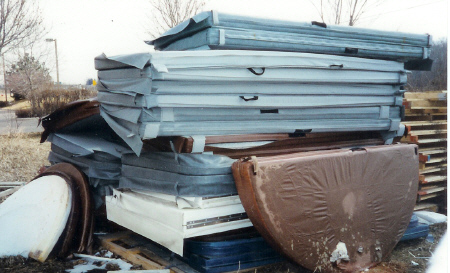 Great Northern Roll-Up® Covers are quality, custom made hot tub covers that do not water log. Our Roll-Up® Cover is designed to provide many years of service. See our Roll-Up® Covers page and learn how to measure for your own premier spa cover.